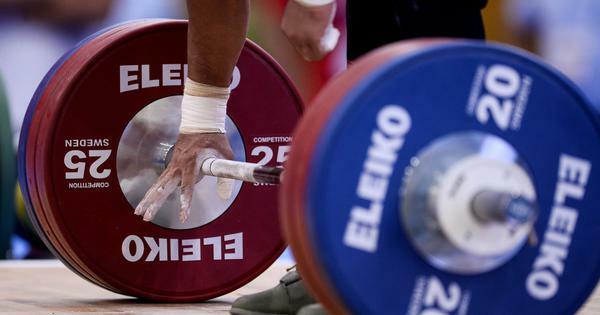 The hosts are leading the medal tally with 83 golds followed by 59 for Haryana and Delhi’s 47. 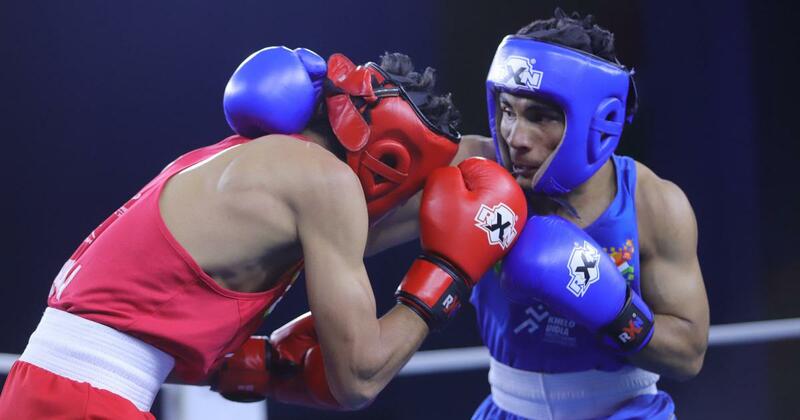 Haryana reaffirmed their dominance in boxing as they added ten more golds on the penultimate day of Khelo India Youth Games in Pune. The state has 18 gold medals from sport as it had won eight on Friday. Hosts Maharashtra, who picked up gold on multiple fronts on Saturday, boosted their gold medal tally to 83. Haryana are second with 59, while Delhi have 47. Apart from the ten gold medals, Haryana also bagged eight silver and two bronze medals. 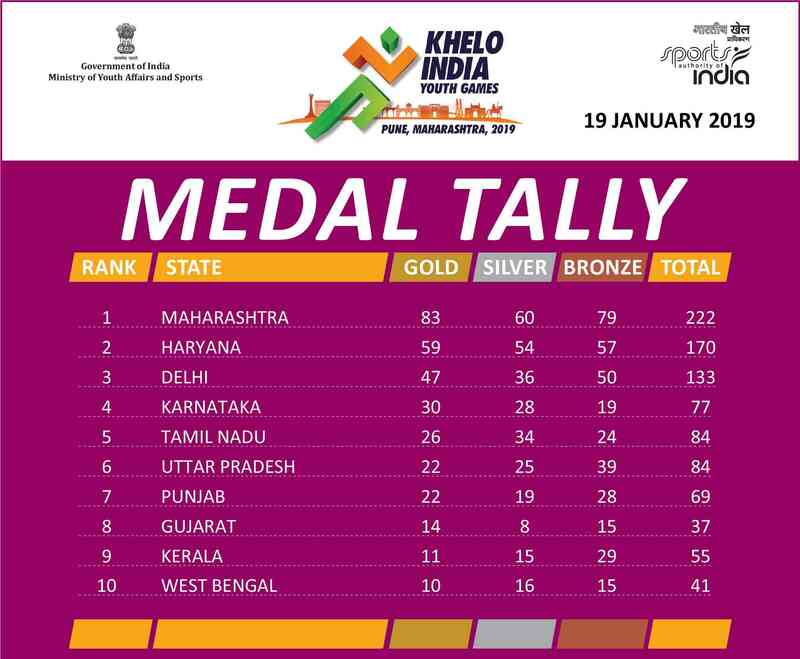 However, Maharashtra also put up an impressive performance with four gold medals, one silver and nine bronze medals. It was Army Sports Institute trainees Barun Singh, Bhavesh Kattimani and Nikhil Dubey who contributed to the Maharashtra gold hunt. Even though Haryana bagged a lion’s share of gold, the defeat of Ankit was the surprise result of the day. Haryana were deprived of another gold as Shashi Chopra was unable to fight due to injury and the gold went to Himachal’s Vinakshi. In the 64 kg class, World Youth silver medalist and Asian youth gold medalist Manisha out-boxed Punjab’s Harpreet Kaur. Manisha was at her best and justified her reputation with a clinical win. Another upset in the girls’ category was Haryana’s national bronze medallist Sapna as she proved better than World Youth bronze medallist Astha Pahawa of Uttar Pradesh in a close fight. In the men’s 60 kg class Harivansh, who has a youth national bronze medal, defeated World Youth bronze and Asian Youth bronze medalist Ankit of Haryana 4-1. In basketball, Punjab and Tamil Nadu shared honours, winning two gold medals each. The Under-17 section had Punjab stamp their mark while Tamil Nadu did well to top in the Under-21 section for both boys and girls. That also meant dashing Punjab’s hopes of winning a treble. In logging the highest score of the day, Punjab eased past Rajasthan 91-78 for the men’s U-17 title. Punjab’s march was led by Navkaman Singh, who scored 28 points. In the women’s U-17 final, Harsimran Dhami led Punjab from the front to down Tamil Nadu 76-71 in a close contest. Harsimran with 45 points in her kitty, was the highest scorer among all finalist teams. The U-21 section saw Tamil Nadu turn the tables on Punjab to win 70-59 in the men’s section, while the state beat Karnataka in the women’s category. Mizoram and Manipur annexed U-21 football gold medals in men’s and women’s categories, recording identical 4-3 penalty shoot-out victories. Mizoram beat Kerala and Manipur beat Tamil Nadu to claim the gold. In the women’s U-17 section final, Karnataka despite dominating proceedings most of the time, had to wait for the penalty shootout to defeat Punjab 4-2 after the teams were tied 1-1 at the end of regulation time. In the women’s U-17 final, Jharkhand out-paced Odisha 2-1 while Manipur ousted Kerala 2-0 to bag the bronze. Gujarat clinched the gold in men’s U-21 doubles category, while West Bengal did the same in women’s U-21 doubles category. Maharashtra continued their golden run, winning the men’s and women’s doubles U-17 titles. In the U-21 men’s doubles final, Maharashtra, leading the match by two games to one, were on their way to a win. But Gujarat staged a solid comeback in the third game and then went on to win the next two to upset Maharashtra 3-2. Manush Shah and Ishaan Hingorani played decisively in the later part of the game, defeating Siddesh Pande and Abduquerque Raegan (Mah) 9-11, 10-12, 11-6, 11-5, 11-7. In tennis, Sureshkumar Manish of Tamil Nadu subdued Dhruv Sunish of Maharashtra 6-3, 6-3 in the women’s U-21 final. Prerna Vichare of Maharashtra outlasted Priyanshi Bhandari of Gujarat 6-2, 5-7, 7-5 in the women’s U-17 final. A day earlier, Vichare had won the women’s doubles and thus completed a double. Dev Javia, winner of U-17 singles, emulated Vichare as he partnered Krish Patel to win the men’s U-17 doubles title. Dhruv, who won the men’s U-21 doubles along with Armaan Bhatia on Friday, was eyeing a second gold in the U21 singles final, but he was outgunned by Manish, who had lost only seven games en route to the final and had hardly been tested. In Hockey, Deepika’s twin strikes helped Haryana beat Jharkhand 2-1 to win the U-17 women’s hockey competition at the National Defence Aacademy Complex. Earlier, Odisha warded off a determined Punjab challenge to emerge 3-2 winners and claim the bronze.